Achieve the right flows at the right pressures to fit all of your spraying needs. With four air motor sizes and 13 different models to choose from, the new and improved Merkur fine finish pump packages are designed to improve productivity, reduce costs, lower emissions and provide consistent, high quality finishes for all of your demanding applications. 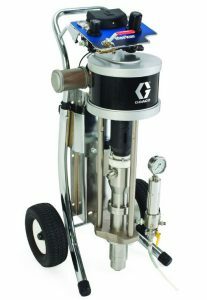 Graco’s bellows pumps provide low maintenance with no seals exposed to the atmosphere. These pumps are designed to eliminate conventional throat seals, providing high reliability for moisture-sensitive materials. 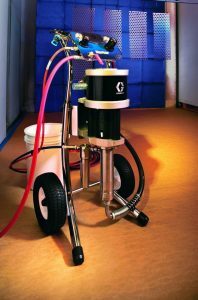 The Merkur Airless Sprayer offers a unique combination of power and portability. 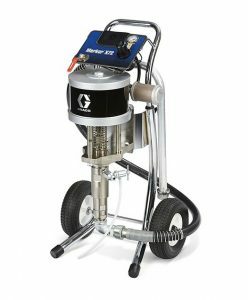 Capable of spraying medium to high solids materials at pressures up to 4800 psi, the Merkur series handles a wide range of hot potted protective coatings applications. 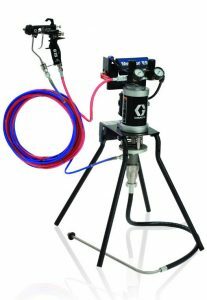 Capable of spraying medium to high solids materials at pressures up to 7200 psi, the Merkur series handles a wide range of hot potted protective coatings applications.